Amid his divorce from his wife of 12 years, Donald Trump Jr. has started dating stunning Fox News host Kimberly Guilfoyle. Multiple sources exclusively tell Page Six that Don Jr. and Guilfoyle, a co-host of “The Five,” have been dating for a few weeks, as his divorce from Vanessa Trump proceeds. The new couple was seen arriving together at a party hosted by Bill White and Bryan Eure for President Trump’s new ambassador to Germany, Richard Grenell, on Sunday evening. Don Jr. and Guilfoyle mingled with guests but stuck close to each other, and later left together, heading for a late dinner at Harry Cipriani on Fifth Avenue. 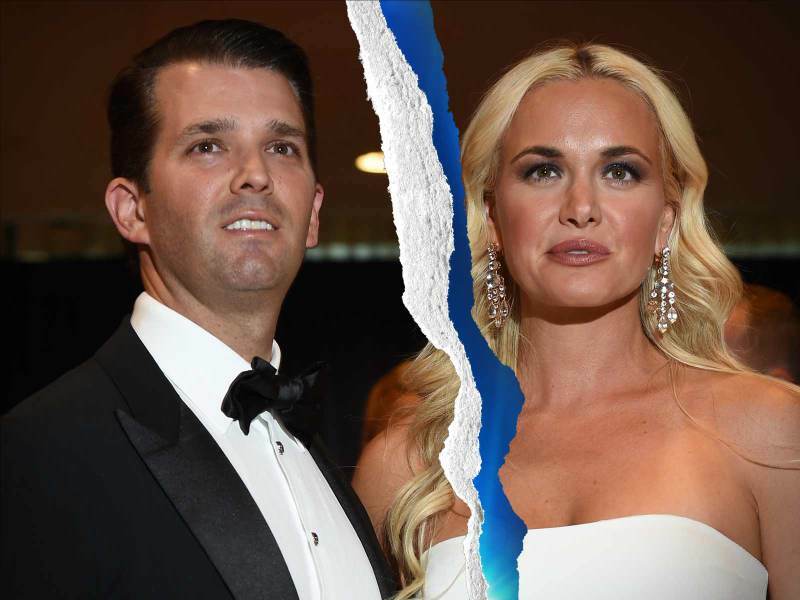 Vanessa Trump, with whom Don Jr. has five children, filed for divorce in March. The divorce was listed as “uncontested,” and a battle over their assets is not anticipated. But lawyers for Don Jr., 40, have asked the court for a statement of Vanessa’s net worth after Page Six revealed she is actually a marinara millionaire, having received a large inheritance from her father’s investment in Rao’s red sauce. Former San Francisco and LA prosecutor Guilfoyle, 49, is known for her strong connections to the Trump family, and she tirelessly backs the president and the first family on-air. Last year, she announced she was talking with the administration about a press secretary job, before it emerged she was under contract with Fox News. Guilfoyle clearly likes a man with political connections: She was married for four years to former San Francisco Mayor and current California Lt. Gov. Gavin Newsom. They separated in 2005 when she moved to New York to start a career in TV. She was also linked to Anthony Scaramucci last year when he briefly separated from his wife, Deidre Ball, and was (even more briefly) White House comms director. Reps for Trump Jr. and Guilfoyle didn’t get back to us.